As soon as I saw the Protest Lole softshell ski pants I fell in love. I admit it took a while to convince myself to buy them but I’m so glad I did! 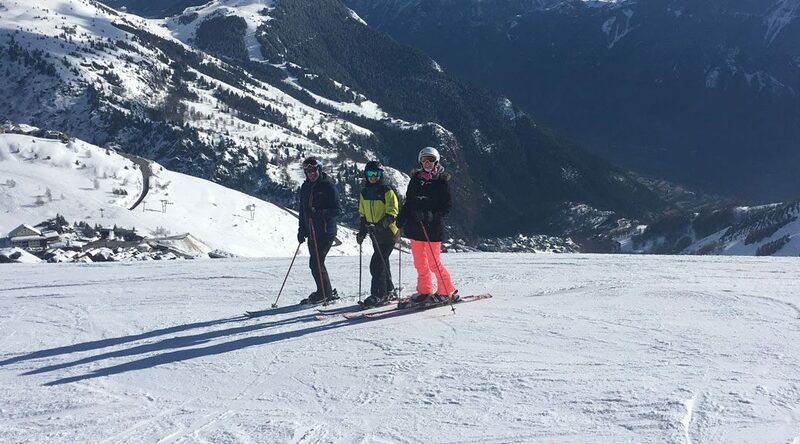 A week in Alpe D’Huez showed that not only are these trousers incredibly stylish but also warm and comfortable. The petunia colour and slim fit make these a favourite for my winter wardrobe, and the stretch material made them extremely flexible while still being snug. 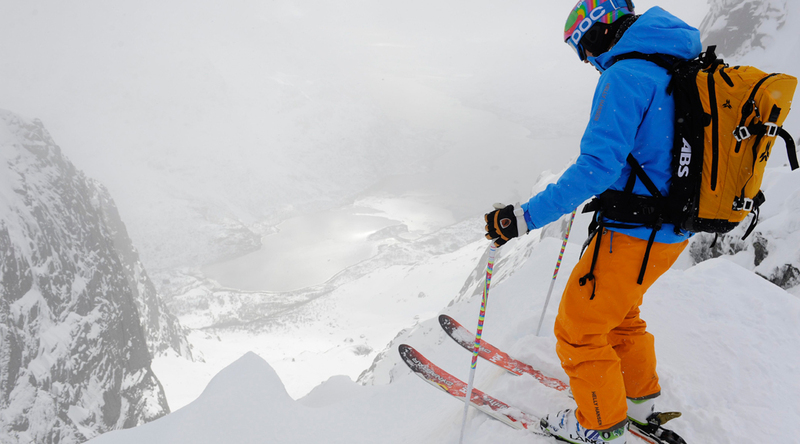 Not only are they breathable but also waterproof which made for a perfect piece of ski gear. The petunia colour and slim fit make these a favourite for my winter wardrobe, and the stretch material made them extremely flexible while still being snug. There are multiple pockets which I could use for my sun cream and lift pass, with a Velcro adjustable waistband which came in handy after a big lunch on the mountainside! The knees and heels are made with reinforced material which made sure they were durable and the material, although unusual, I really liked as opposed to the usual waterproof material. Skiing around for a week made me fall in love with these trousers and I would definitely recommend them to anyone who loves to look stylish while being sporty! As people back home have probably heard Europe has had a slow start to the season with unseasonably high temperatures throughout December. However when it has snowed this year it has been falling intensely with two 50 cm plus snow falls in 24 hour time periods. 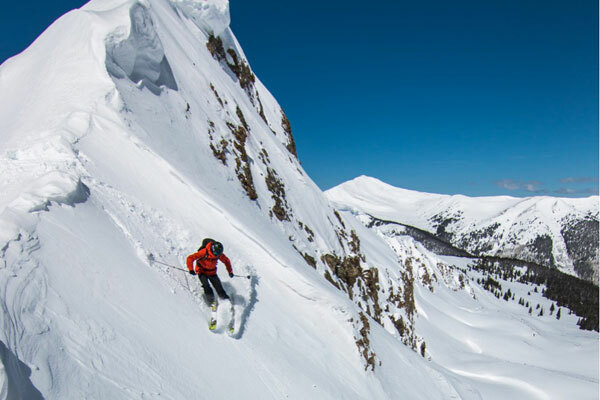 This has provided us with a wide variety of condition to test the Dakine Prospect Bib Snow Pants! The first impression you get from the Prospects is how incredibly light they are compared to other winter pants. 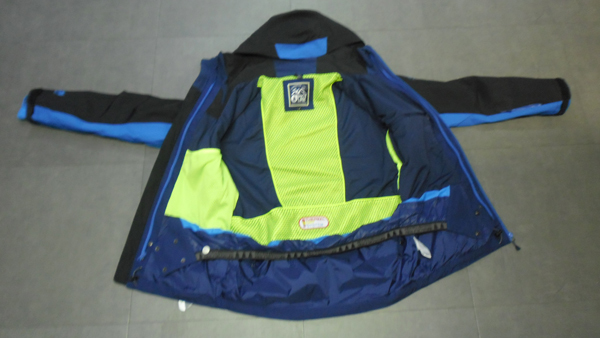 This lightness provides a fantastic feel when skiing and touring as you aren’t restricted by any heavy materials. 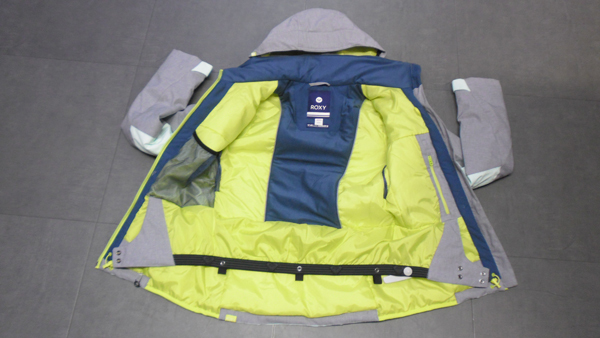 They are built from 3 layer Gore-tex which provides the trousers with a formidable shell against all conditions. Despite being out on a few torrential ski days this year I am yet to see the trouser soak through even when sat on wet chairlifts. The bib design is a great feature for any powder lovers as it ensures protection of your base layers even on the deepest of days and the occasional tumble! The bib design is a great feature for any powder lovers as it ensures protection of your base layers even on the deepest of days and the occasional tumble! However it is not just in miserable conditions that the Prospect shines. I have been touring in them in +15 and there lightweight breathability means that they control your temperature very well. With multiple vents featured on the trouser you are able to make quick adjustments whilst on the route up as well as insulating your warmth at the top. We have been skiing for eight weeks now and as stated the condition have been tricky with plenty of grass and rock on show. 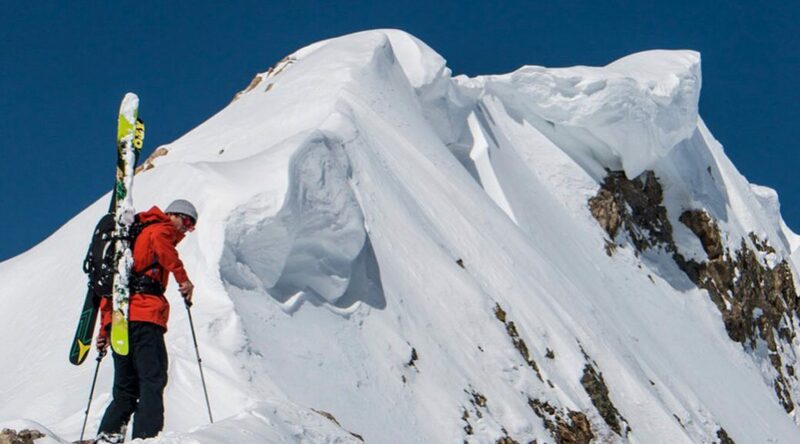 This has highlighted one of best features of the Prospect.The reinforced cuffs at the bottom of the legs have made them considerable more durable than other snow pants. Despite being scraped between rocks and ski boot on numerous occasion they are yet to show any sign of wear and the strong boot gators stay firmly attached to the boot. Overall I would say that the Dakine Prospect Bib Snow Pants are a great piece of kit which when utilised with good base layers provides exceptional performance in the majority of condition a mountain can throw at you. 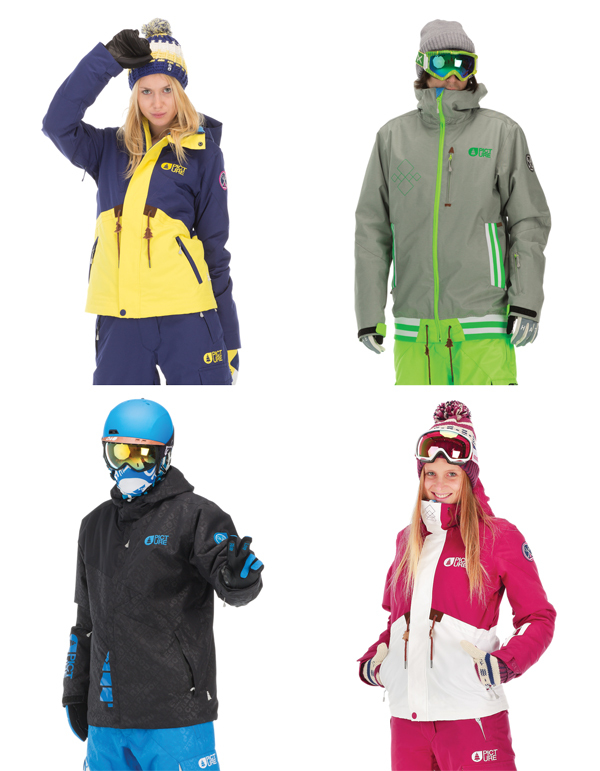 Got your jacket, bought some skis, time to accessorize the look? Your first port of call has to be snowpants. While colour is top of most people’s criteria, try to buy snow pants like you would a jacket, consider their technicality: how waterproof and breathable are they? Do they have a fitted gaiter? Are there air vents? Are they innovative or a safe bet? While people often consider snow pants as an after-thought, you should treat your bottom half as being as important as your top half. 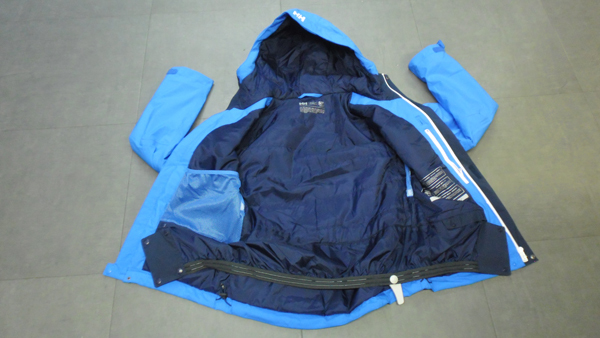 While the insulation of a jacket is crucial, your core temperature will drop in an instant without it, the waterproof level of trousers is is the most important element. Imagine sitting on a ski lift and all you can think is how wet your bum is; far from ideal with a long day of skiing ahead of you! To prevent indecision, and help you on your way to the perfect snow pant, here is our instructors’ top 5 from our current selection. 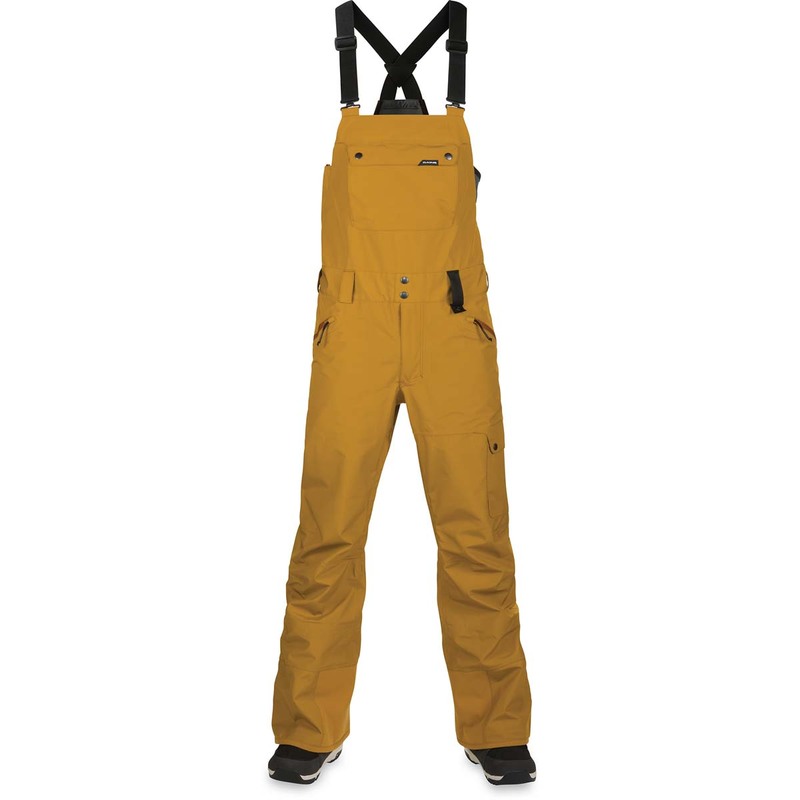 Burton’s Cargo Black Mid Snow Pants, at £159.99 are a tailored technical pant. With a waterproof rating of 10,000mm, Fully Taped seams, and no insulation, these pants will keep you dry whatever the weather and with no insulation, they are pants suitable for every season. Add to this a mesh-lined test-I-cool vent system; these cargo pants are multifunctional and practical. Burton cargo pants are the most robust and durable while maintaining an excellent level of technical features. To invest in a classic pant which is expected to come to an end this season, head for a Nike SB Ruskin Brown, £147.99. With an adjustable stretch waist, side zip vents for breathability, interior cuffs with stretch binding and zip outer cuffs to enable quick changing and a custom fit, articulated knees for a natural range of movement, 10,000 waterproofing and breathability rating, fully lined, and full taped seams; this is a pant that just keeps on giving. 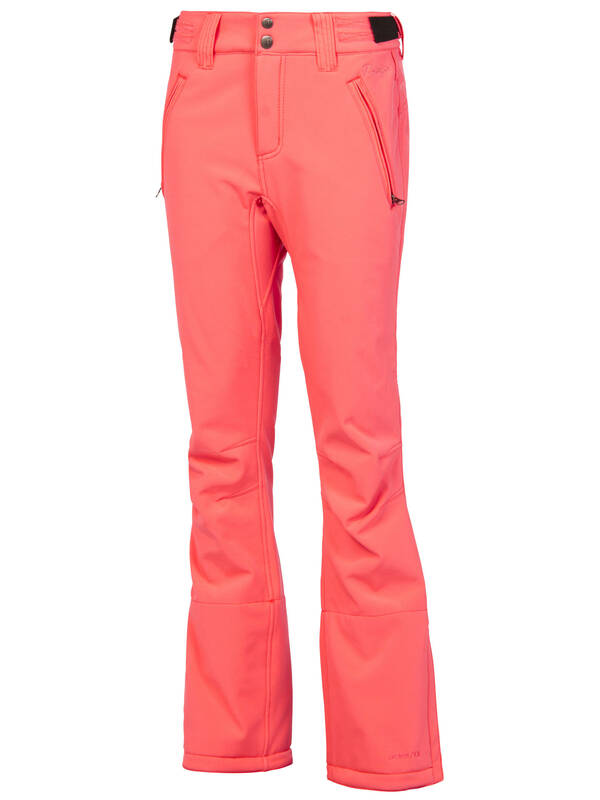 Invest in an iconic snow pant that will see you through numerous seasons. 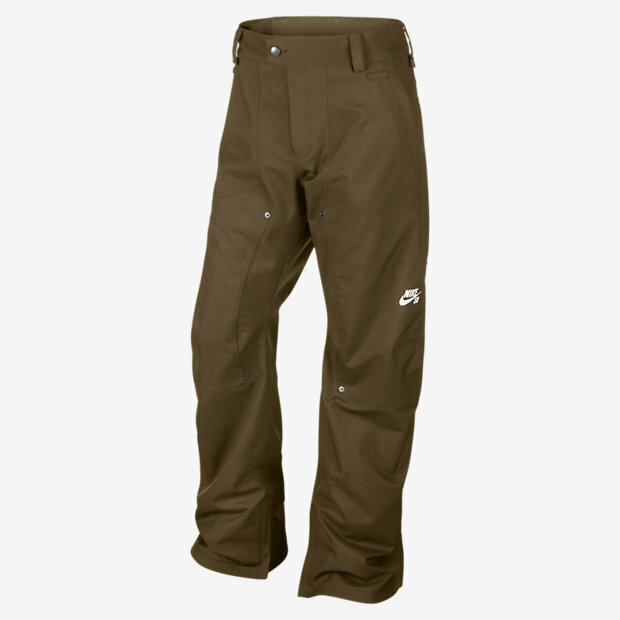 Nike Ruskin snow pants in brown, for this season only! Want to buy something evidently technical? Are you an eco-warrior? 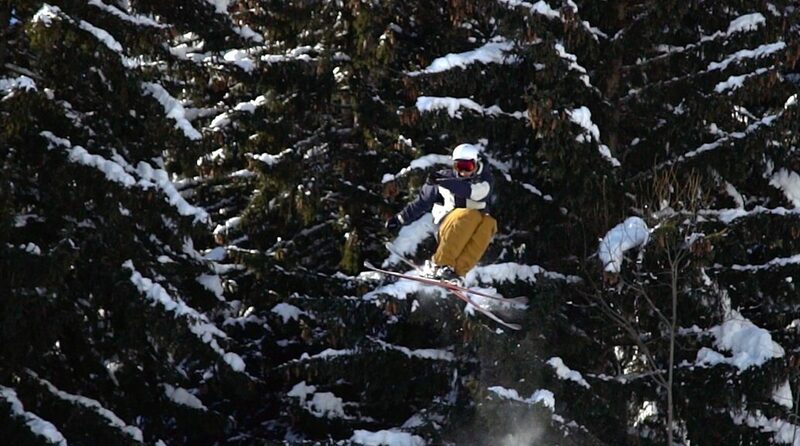 Picture is the brand for you, and their Royale Blue Snow Pant is the snow pant of choice. At £189.99, you will feel the burden of its technical features on your wallet, but they are worth every penny. 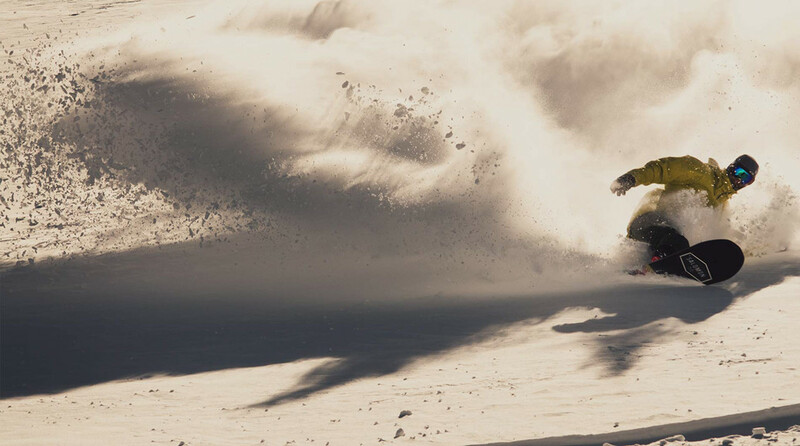 While their critically taped seams are not for everyone, they still boast a crucial 10,000 waterproof and breathability rating, a powder skirt and connect to jacket system to ensure maximum comfort, warmth, and minimal snow entry points; features which will guarantee that you stay warm and toasty on the slopes. 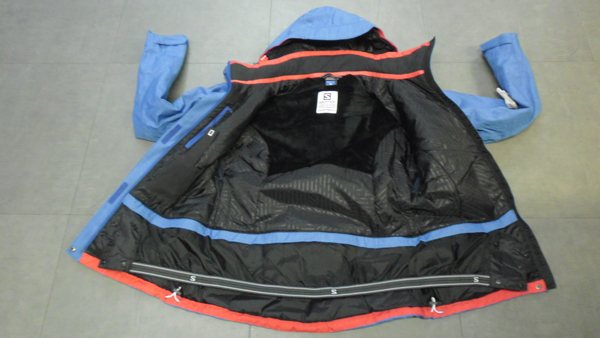 With venting zippers and a drawstring system, accessible from the pocket, which lifts the bottom ensuring easy changing, Picture has considered everything. These snow pants are for the gadget lover among you. Meanwhile, for a cheaper option, head to Salomon for their Response Black Snow Pant, £139.99. This is a no frills pant that is designed to be practical and affordable. With the standard 10,000 waterproof and breathability rating, fully taped seams, inner leg air vents, an internal fleece panel, knee articulation, and a powderskirt; this pant combines all the positives of the others at a fraction of the price. If you want a technically sound product that does what it says on the tin, this is for you. Whatever your poison, here at Tallington Lakes Pro Shop, we have a ski pant for everyone.